Helps Remove Iron Buildup and Prevent Rust Stains. 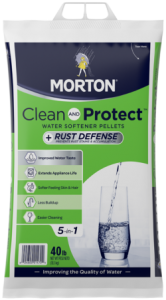 Morton® Clean and Protect™ Plus Rust Defense™ is specifically designed for use with high iron water. It removes 15 times more iron than plain salt! Morton® Clean and Protect™ Plus Rust Defense™ Pellets remove 15 times more iron than plain salt. 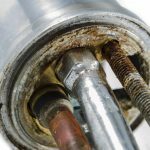 It reduces rust buildup in your water softener, increasing life-span and efficiency. l leave behind significantly less calcium and manganese insolubles in your brine tank than salt pellets.